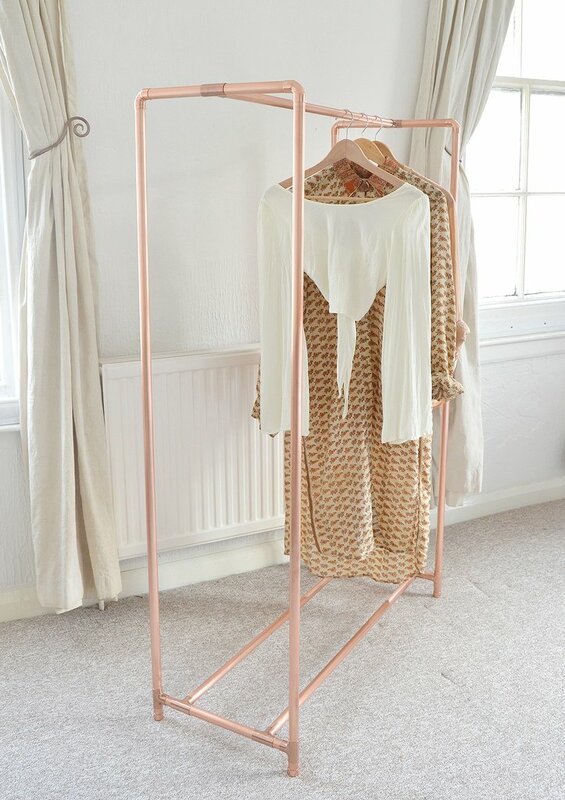 It appears that we are ditching the wardrobe in favour of the The Clothes Rail when it comes to storing our clothes. The question is are your brave enough to have your clothes on display? Personally, being a clothes, shoes AND bag lover, I’m not sure I’d want it all on show, but then that’s probably because I wouldn’t want the OH to know the extent of my hoard! 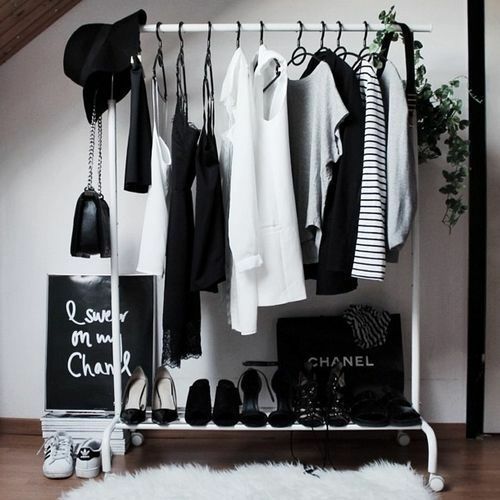 There are positives to ditching the wardrobe and looking to the clothes rail as an alternative. 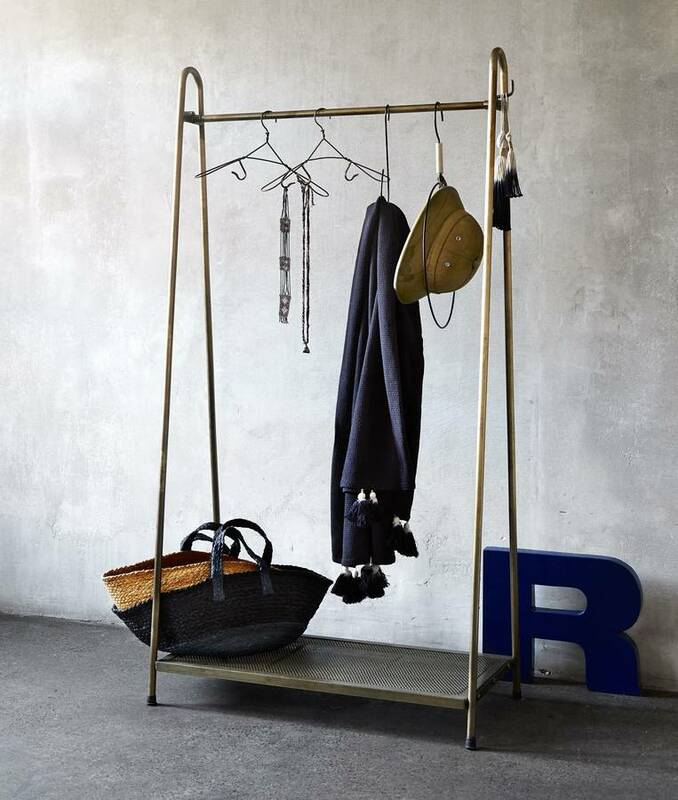 Maybe one of the following will resonate with yourself, and you might find the clothes rail is for you. Unfortunately, I don’t fall into this category. 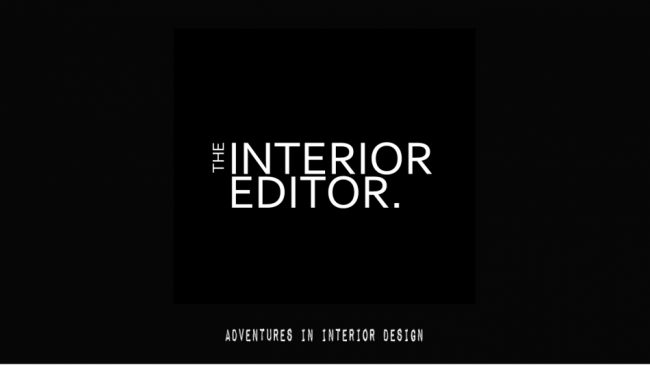 My mornings days are a bit of a whirlwind and I am always trying to catch my tail, so to speak, and therein lies my excuse for my untidiness. 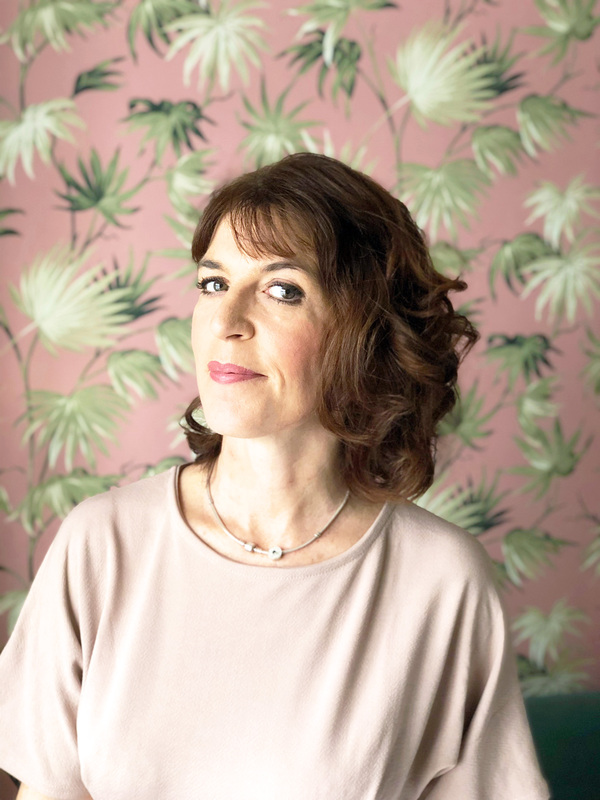 Although writing this post, I am trying to convince myself that if I saw the amount of clothes I own, and they were on show, I might think twice about buying any more….. .. Maybe I’ll stick with the ignorance is bliss anecdote and be forever in denial. 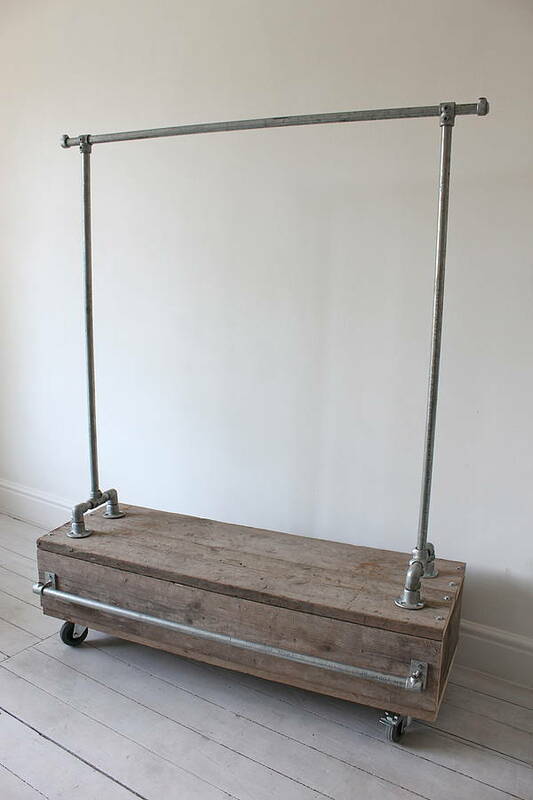 You may want to consider the Clothes Rail if you have a particularly small room. Or your current storage isn’t quite enough. 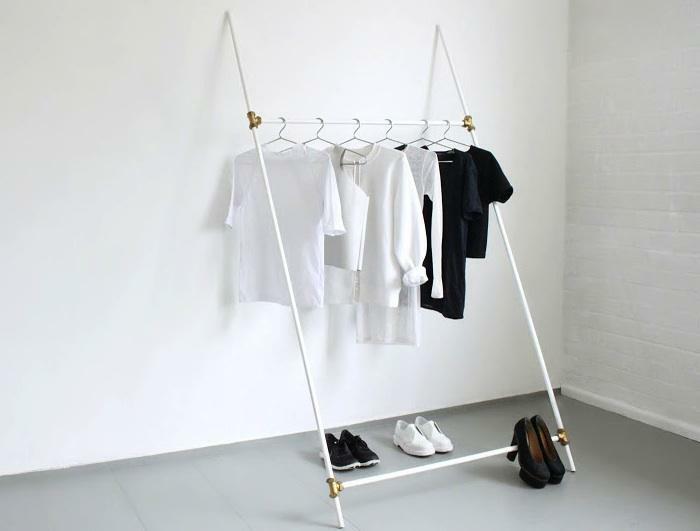 If you’re a minimalist, and/or you have a capsule wardrobe, then the clothes rail is definitely a good way to go. 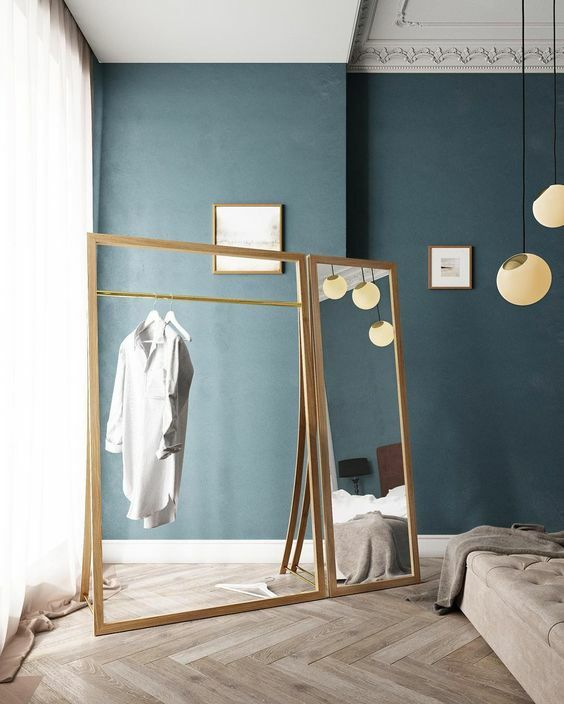 If you like to style your rooms, then having a clothes rail will provide you with the perfect opportunity to style your clothes into a work of art. Think boutique and you’ll be along the right lines. 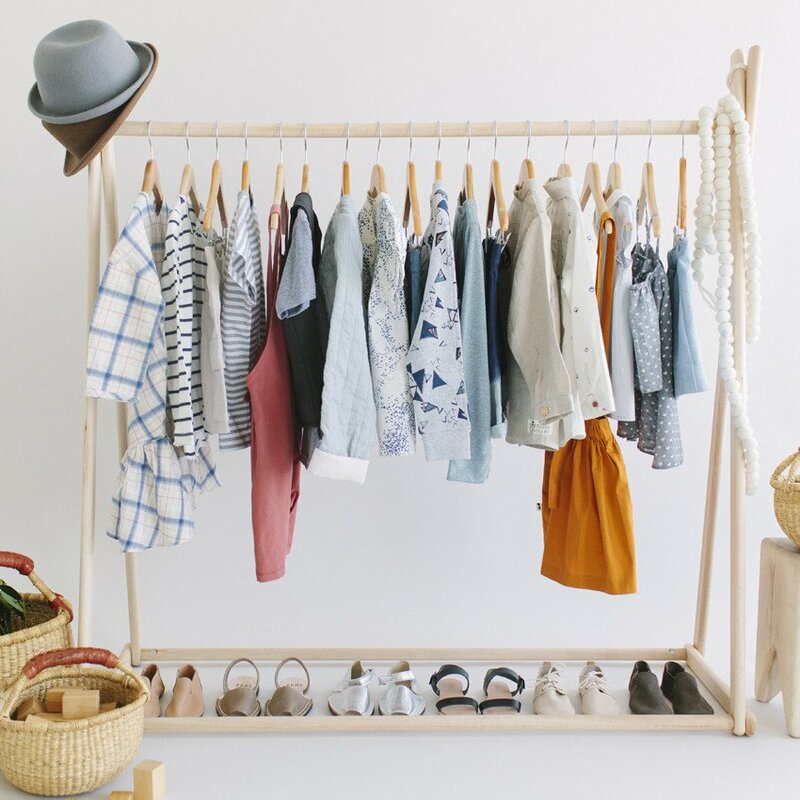 If you find yourself renting and are constantly on the move, then the clothes rail is a sure bet as it’s a lot easier to transport than your typical wardrobe. What better way to teach your kids to be organised. 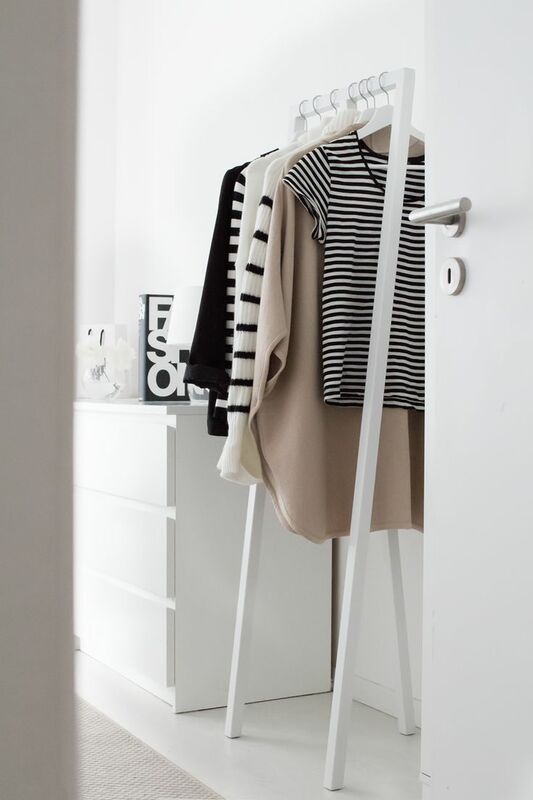 A small-clothes rail in their bedroom maybe the answer to making them more independent from putting their own clothes away to being able to pick an outfit to wear themselves. Be warned though, you may not necessary like the clothes combo they choose! 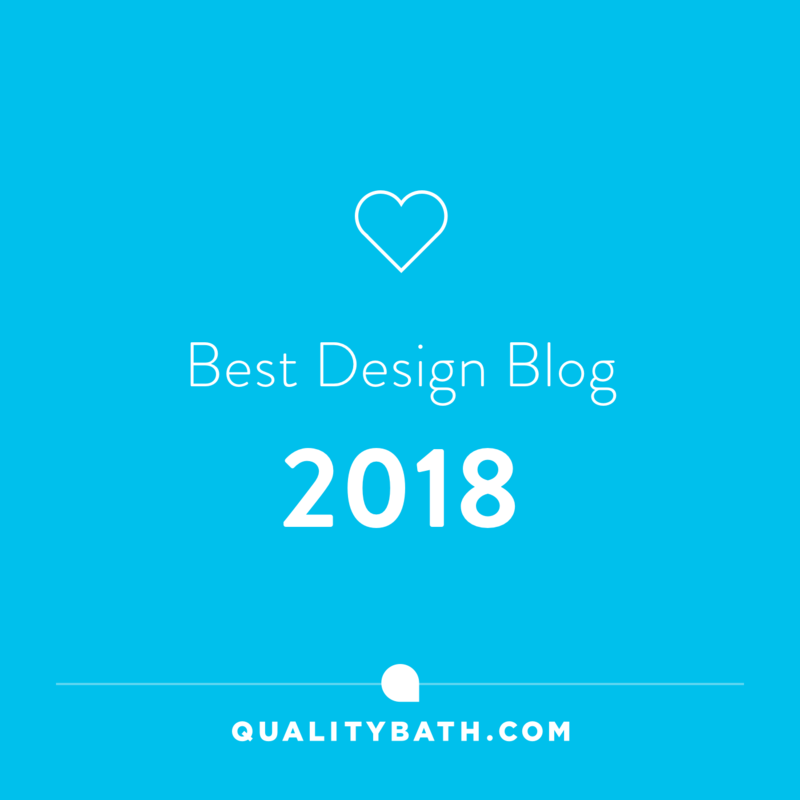 Holly over at The Avenue Lifestyle blog, created a whole new bedroom space and incorporated an open wardrobe space using simple clothes rails. Why? Because that’s what she liked, which proves a point about sticking to what works for you on a personal level, your own style and lifestyle choices. 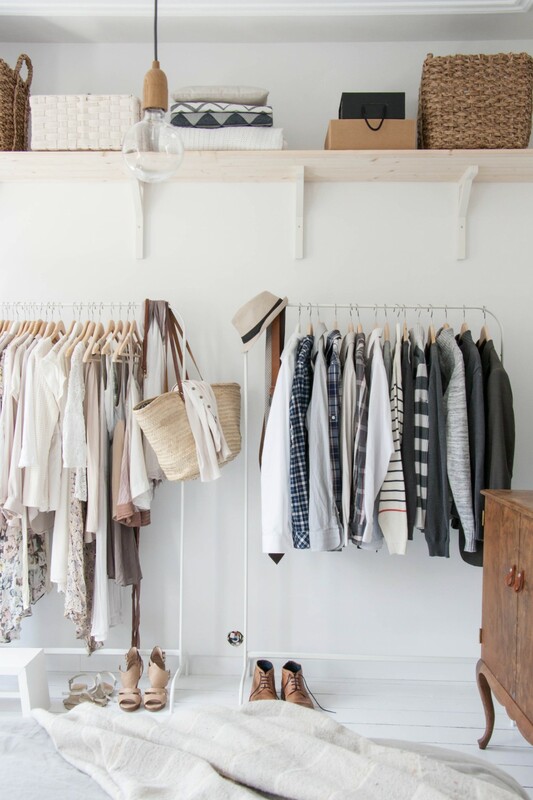 If you travel a lot you could opt for a smaller clothes rail to help you coordinate your clothes beforehand, which should help on the packing front. This idea could definitely help me with over packing for holidays. I tend to forget what I’ve put in and/or keep adding to the ever-growing and bulging suitcase! If you like to coordinate your look everyday then you could use it as a means for organising what you’re going to wear. A great help if you’re not a morning person or happen to have little ones who like to keep you on the hop by using your moisturiser as a hair gel. 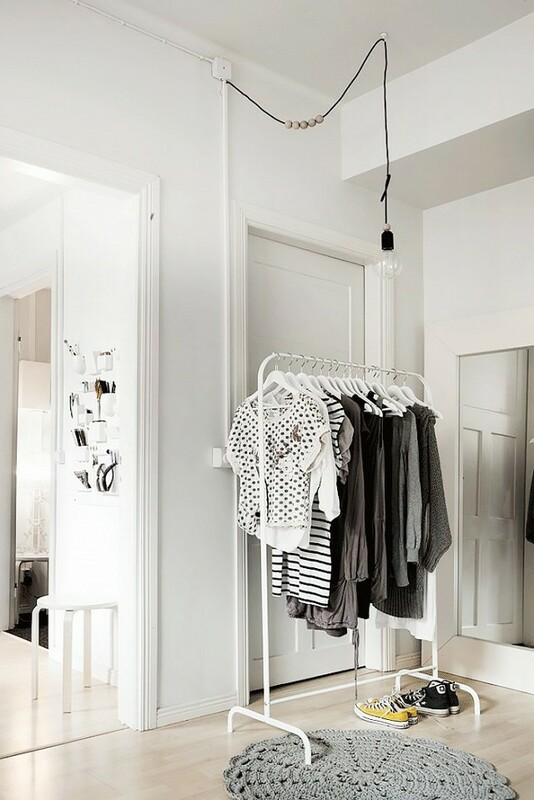 Image – mydomeainehome Ikea ‘s Turbo clothes rail is perfect for those on a budget at £35. 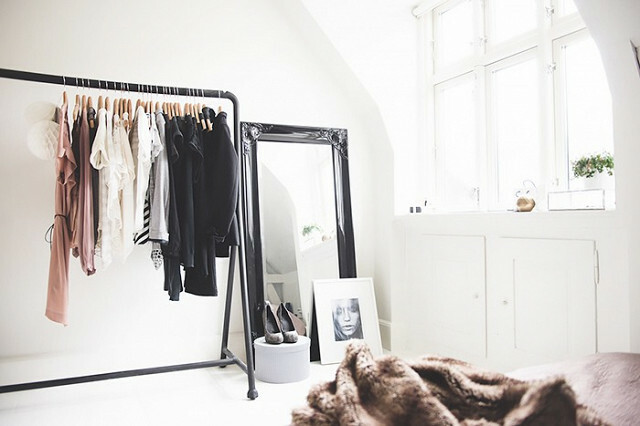 Are you going to be ditching the wardrobe for the clothes rail? It’d be great to hear from you.